Our company has invested in USD25 million to introduce in one BOPET production line with the annual output of 16,000MT from DMT. We mainly produce BOPET film, twist PET film, heat-sealing film, and radium treated film. 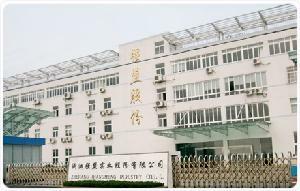 Zhejiang Dafa Packing Material Co., Ltd. had invested in USD12.5million to introduce in three vacuum aluminum-plating production lines with the annual output of 15,000MT, for metallized beer label paper,metallized PET film, and meatllized CPP film.